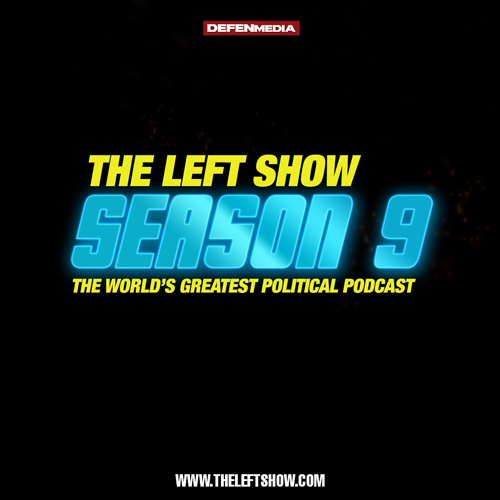 The guys at The LEFT Show would like to help you keep the balance this Holiday season – and all through the year. It works like this: You give a little, we annoy someone for you. You give a bit more, we annoy them a bit more. You give a lot, we annoy a lot, send you gifts, and have Jason read some naughty romance novel pages at you! We’ll let the GOPper of your choice know that a donation was made, in their name, to the most Militant Lefty Show in the world in nearly any way you can imagine. Imagine the frustrated faces! You know they have it coming, so, why not give it to them? The Part Time Patriot level includes an email sent to the GOPper of your choice letting them know that a donation was made, in their name, to the most Militant Lefty Show in the world. A little more love, you get a little more annoyance, if you know what I mean! Read this handy table below for details! No one really wants to be a Part Time Patriot, right? Claim to love Freedom? Be a Stand Up Citizen! Donors in the Stand Up Citizen Level have access to a Paper Letter to the GOPper of your choice, Paper Photos of the guys, an Autographed Picture of the guys for you, and, even an MP3 of The LEFT Show guys singing a Holiday Song that we arranged our very own selves. This is where the action is, Patriots! This is where you prove your quality, American Brothers and Sisters. At this level, you get everything that came before, and then, alas, you get the fantastic benefits and prizes you see below! Feast your eyes, citizens, this is where the Awesome becomes EPIC. We’re Raising Funds To Celebrate The Life of our Best Friend Forrest Shaw. The programs you enjoy here are provided FREE for the edification of the masses. Help us cover broadcast, production and travel costs and keep these programs alive and spreading the word. Drop your spare PayPal change in our tip jar – or become a Platinum Level sponsor.